Ever since I've owned the jeep and wanted to ride around with the windows out and the top up, Safari Style. But always the rear window sagged. The elastic straps from the factory wear out surprisingly quick. Then you start doubling them up like a rubber band to keep them up higher, which wears them out faster. To the point you just unzip the rear window and it starts getting scratched up. What you get in the Box after waiting about 1 day from purchase. I actually wasn't quite sure how to install these, stupid I know. 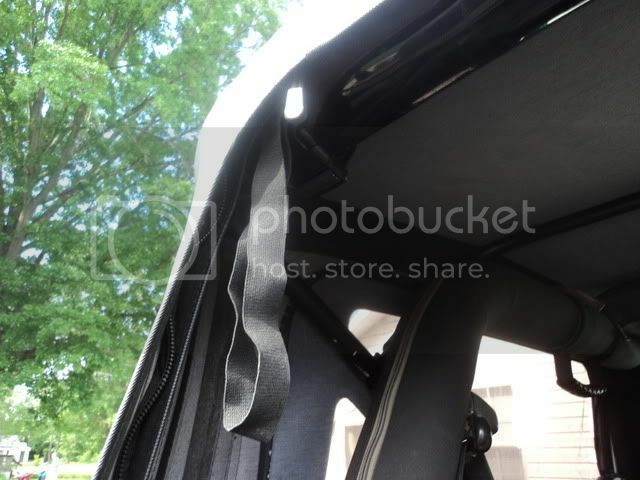 But my first inclination was to clip the snap to the existing factory snap, roll up the window, and clippity clip done. But it obviously wasn't right as the Buckle for the clip seemed backwards. Quick call to Rich at Gulch Gear confirmed my stupidity. 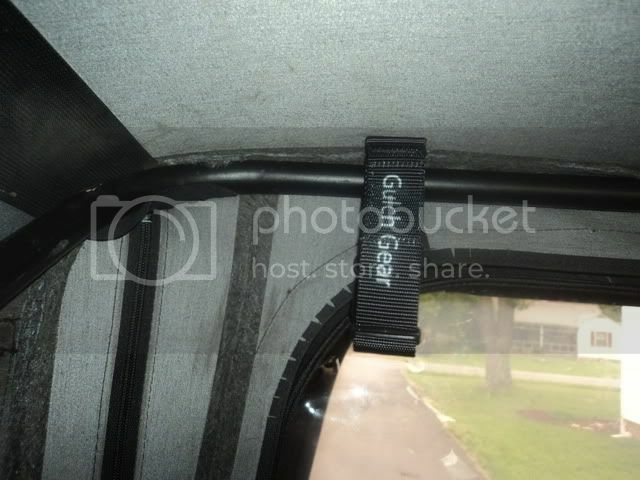 To install properly the strap goes between the frame and the top, thie frame then supports the load of the window, the snap is just there to locate them in the correct position and keep them from falling off when not in use. So here they are installed. They hang just barely into the window, hardly blocking any visibility when not in use. 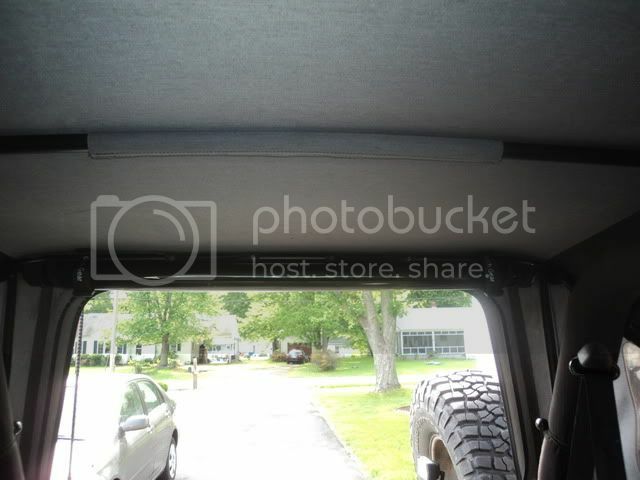 When being used the rear window can be rolled all the way up to the frame with practically none of the window sagging below the fabric of the top. GENIUS! 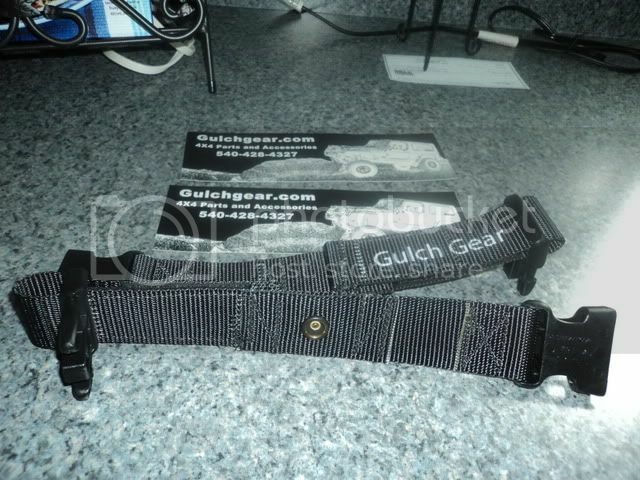 When comparing the stock straps to the Gulch Gear version, the stock straps are pathetic. The aftermarket has been strap happy for a couple years now with the practical rollbar handles to the ridiculous cell phone holders. These I've always felt were just common sense. 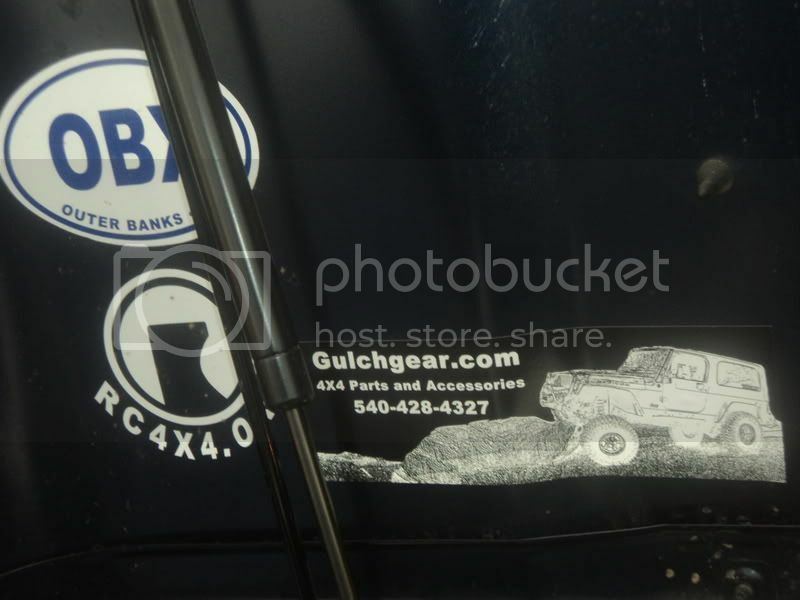 Thanks Gulch Gear for making a quality & useful product! 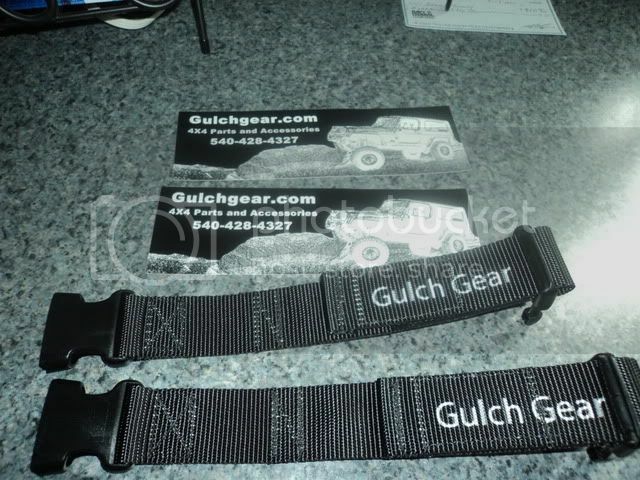 "Rich at Gulch Gear says the straps were actually designed to be run in the reverse direction. 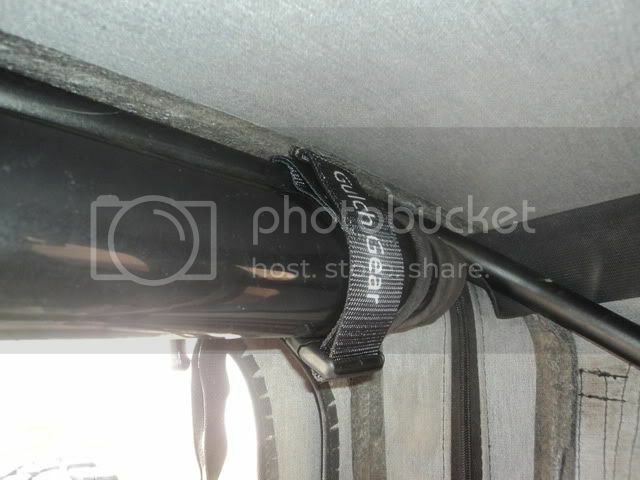 The Adjustable portion with the Gulch Gear logo should be at the back of the vehicle. 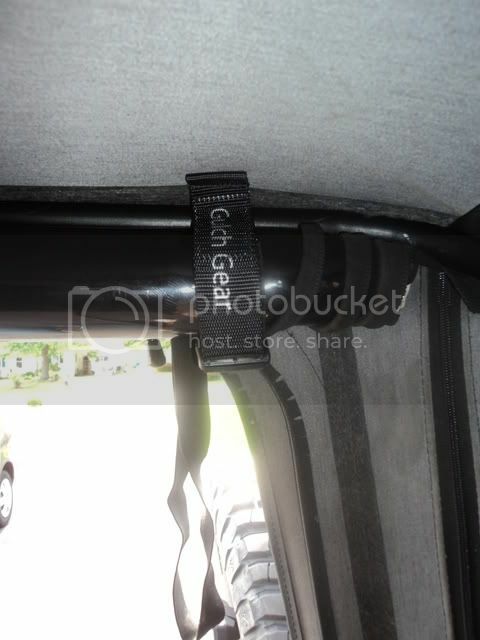 This allows the strap to be tucked out of the way even tighter fit."